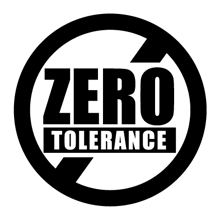 Zero Tolerence: Is It Really The Best Policy? You are here: Home / Education Analysis / Zero Tolerence: Is It Really The Best Policy? Zero tolerance policies swept into our schools after the Columbine tragedy in 1999, leading to students being expelled for things like shooting spitballs in the high school lunch room, and a 7-year-old being charged with misdemeanor possession of a toy gun when he brought a Nerf gun to school. However, these highly punitive polices have not stemmed the tide of school shootings. Our nation has experienced one school shooting every two weeks since the massacre at Sandy Hook Elementary School in December 2012. Sounds like those zero tolerance policies aren’t working out so well. Threat assessment was an unfamiliar concept to educators, so researchers in the Curry School of Education at the University of Virginia took on the challenge of developing a set of model guidelines for K-12 schools. These guidelines allow school-based multidisciplinary teams to evaluate and resolve student threats so that the students can remain in school rather than be suspended. Not only do these guidelines keep kids in school, but they also reduce racial disparity in suspensions. This reduction prevents loss of class time, which leads to further acting out and in some cases, dropping out. I think Oklahoma needs to consider something like this. Additionally, the report made a couple of points that I think bear further discussion. First, the report notes that teachers and administrators assess student behavior on a daily basis, and we make judgments about the seriousness of any threats made. For example, as a teacher, I know the difference between the kid who just likes to run his mouth, but never does anything, and the kid who is likely to pick up a desk and throw it. school budget cuts, increased class sizes, and growing administrative duties, the ability of teachers and administrators to develop personal relationships with students has dwindled. Hmmm… So, budget cuts and increased class sizes prevents us from developing the relationships we need to have with our students so that we can know them, understand them, and teach them.